We recently reported on two incidents occurring only days apart where cruise passengers had fallen and died as a result of their injuries. The first incident saw the death of Barbara Wood on the Liberty of the Seas, owned and operated Royal Caribbean Cruises. 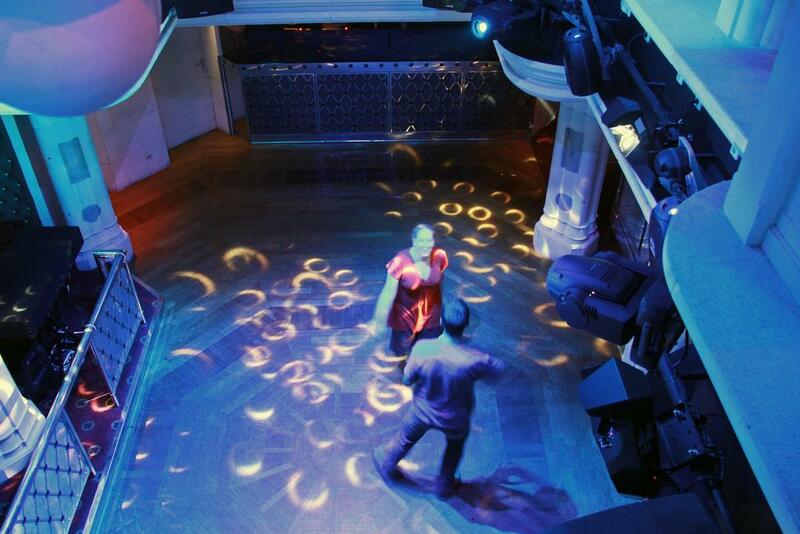 The investigators and witnesses to the tragedy told the media that Barbara Wood was leaving the ship’s nightclub, Catacombs, when she fell while going down the club’s stairs. She hit her head on one of the steps and sustained a massive head injury, resulting in her death about an hour later. 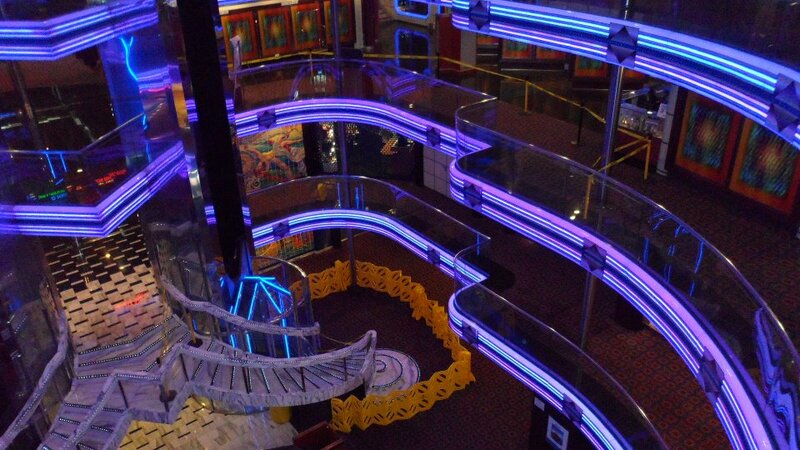 Less than 48 hours later, Carnival cruise passenger, Walter Bouknight, fell down two floors after falling off a platform in the atrium of the Carnival Fantasy. Passengers who witnessed the events have since reported that alcohol may have been in play. The young man may have been gambling in the ship’s casino a few moments prior to his fall and may have been drinking to the point of intoxication. In both instances, alcohol consumption and intoxication may have been the main contributing factor to explain these incidents. If there is evidence that these passengers had consumed alcohol prior to their fall, and that the amount of alcohol in their system rendered them intoxicated, Carnival Cruise Lines and Royal Caribbean Cruises respectively could face a lawsuit for having over-served alcohol to these passengers. Florida’s Third District Court of Appeals decided in a landmark case in 2004, that cruise lines can be held liable for over-serving their passengers to the point of intoxication if they sustain injuries caused by their alcohol-related impairment. In Hall v. Royal Caribbean Cruises, Judge Schwartz reversed the lower court’s decision ruling that the defendant cruise line has an established duty to exercise reasonable care for the safety of its passengers, a duty couched in general maritime law. Royal Caribbean had argued that the Court of Appeal should look to Florida’s dram shop act as the governing law to resolve that case and not general maritime principles. Had the Third District Court of Appeal agreed with Royal, it would have severely limited the cruise lines’ liability in future similar cases. The Florida’s Dram Shop Act enacted as Statute 768.125 provides that [a] person who furnishes alcoholic beverages to a person of lawful drinking age shall not become liable for injury or damage caused by or resulting from the intoxication of such person. The exceptions to Florida’s Dram Shop Act are when a Florida business willfully and unlawfully sells or furnishes alcoholic beverages to a person who is not of lawful drinking age or when it knowingly serves a person habitually addicted to the use of any or all alcoholic beverages. Consequently, since the Hall decision, cruise passengers have able to bring lawsuits against cruise lines for not only over-serving and essentially intoxicating them while on the ship, but also for intoxicating other passengers who may have become violent towards them as a result of having been served too much alcohol. We reported on Monday that a cruise passenger on the Carnival Fantasy had died on Friday while the ship was docked in Nassau, Bahamas. The authorities have since released the identity of the victim. 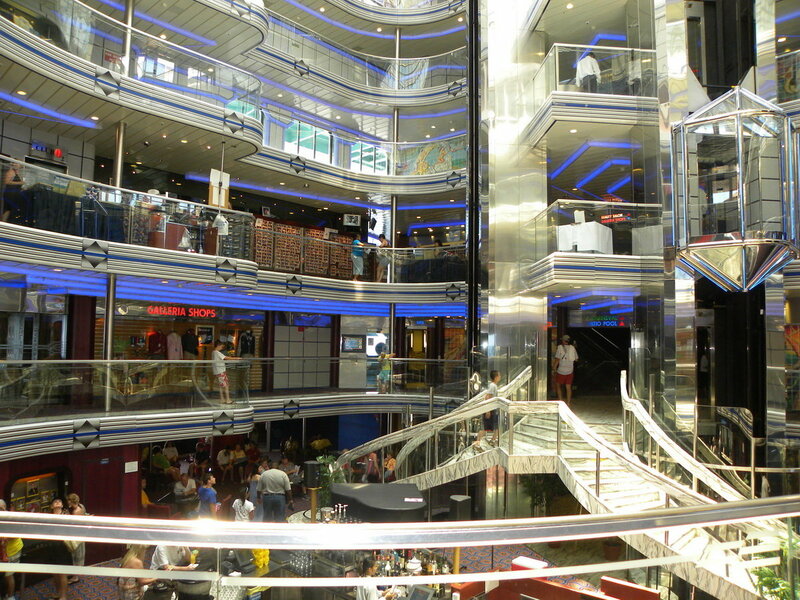 26-year-old Walter Bouknight from South Carolina fell from one of the platforms of the ship’s atrium and landed two floors below. Witnesses to the incident told the local media that the young man was unresponsive and had probably been killed on impact. The above photograph was taken a few moments after the incident. Yellow tape is still visible on the platform from which Walter Bouknight fell. Two floors below, near the bottom of the stairs, is where the young man’s body rested, an area blocked off by crewmembers while first responders attempted to revive the passenger. The Carnival Fantasy was on a 5-day cruise in the Bahamas and has since returned to Charleston, South Carolina. Passengers who were on the cruise when this tragedy occurred have been asked to comment on the events. While some have alleged that Walter had lost money gambling in the ship’s casino before his fall, others have reported that the young man was suicidal. Several other passengers however have vehemently disagreed with that theory. One outraged passenger insisted on rebutting the theory as untrue. This passenger who knows the father of the deceased commented that alcohol may have been an issue and that whether it was intoxication or the momentum from running towards the railing that caused the young man to fall over the railing, he certainly was not suicidal. While the Cruise Industry is still in the eye of the storm, having to deal with the worst year in terms of public relations amid the tragedy of the Costa Concorda which capsized off the coast of Italy, Carnival’s name remains in the headlines today when we learned that a cruise passenger aboard the Carnival Fantasy died on the ship on Friday. The early statements released by the authorities in the Bahamas have revealed that a 26-year-old cruise passenger from South Carolina fell to his death while the ship was docked in Nassau, Bahamas. The ship departed from Charleston, South Carolina, on a 5-day cruise in the Bahamas. The details of the actual incident that resulted in the cruise passengers’ death are still vague at this early stage of the investigation. The theory that has been conveyed to the media by the Bahamas police supposes that the man, his name has yet to be released to the media, jumped off one of the platforms of the Carnival Fantasy Atrium and fell to his death. He was declared dead at the scene. Carnival issued another statement relaying the same theory to the media that one of its passenger apparently jumped from one floor to another aboard the ship and fell to his death. We will learn more of the circumstances of this young man’s death in the days and weeks to come. This new tragedy however could not come at a worst time for Carnival and for the cruise industry as a whole. It is still dealing with daily blows and backlashes from consumers after the horrendous capsizing of the Costa Concorda which has led to 17 deaths and hundreds of passengers injured. Cruise lines have the duty and responsibility to provide a safe environment to their paying customers and to prevent the risk of injury or death of passengers while on a cruise ship. Sadly, every year several passengers who board cruise ships disappear or fall overboard through no fault of their own. According to the Los Angeles Times. 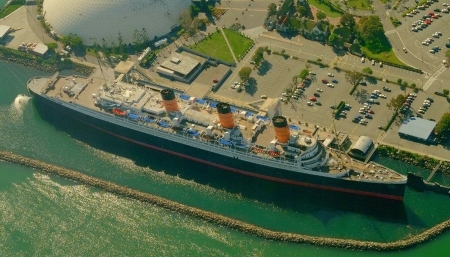 Long Beach Fire Department spokesman Steve Yamamoto confirmed that Kelly Ryann Dorrell, a 26-year-old woman, who was a passenger on the Queen Mary ocean liner fell over the handrail from the ship’s fourth story (some 75 feet). In her fall, the woman collided with several parts of the ship and sustained massive trauma to the head before eventually falling into the water. Her boyfriend, who witnessed the fall, jumped in the water in an attempt to rescue the woman, along with two police officers who were nearby. Some early reports indicate that the woman was drinking at the time and fell overboard after she lost her balance. After being rescued by the firefighters, Kelly Dorrell was transported to the hospital in critical condition and pronounced dead later that day. An autopsy on Dorrell’s body on December 15, 2011 will help to determine the level of blood alcohol content of the deceased at the time of the incident. In the Cruise Ship Safety Act passed by Congress, all cruise ships are required to have handrails at least 42 inches (forty-two) tall. This new law will be effective by January 1, 2012. If a handrail is found to be in violation of the law, and a passenger falls overboard or disappears, the cruise line could be responsible for its own negligence. One of the misconceptions of the public at large about to board a cruise ship for the first time is the effect rough weather conditions can have on their safety. Being on a very large ocean liner does not immune cruise passengers from injuries when the ship enters a patch of rough weather. When at sea, cruise lines have the duty to warn its passengers from bad weather as soon as the dangers become known. To fulfill their duties, cruise ships are equipped with radars that detect patches of rough weather far in advance of feeling their effect. Cruise lines can be held liable for failure to warn passengers who injure themselves or fall off the ship during a storm. In past cases, passengers were pushed overboard by the cruise ship’s crew members. If a passenger dies, disappears or sustains injuries because of a crew member’s violent act, the cruise line will be held strictly liable. Cruise lines have the duty to protect their passengers from violence, especially violent behavior from crew members. Today, most cruise lines allow passengers 21 years of age and older to drink alcohol on the ship. Even though cruise ship employees are trained to request the ID card of passengers, it is not infrequent that teenagers and under-age passengers consume alcohol on cruise ships. 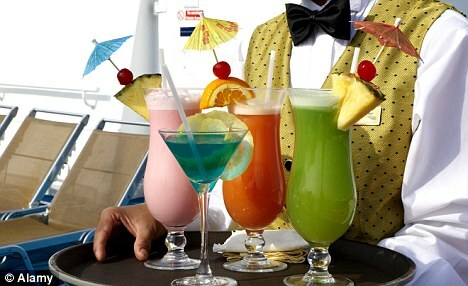 Cruise lines also have the duty to limit passengers’ alcohol intake. This self-imposed duty can result in the cruise line’s liability if it is determined that a passenger became intoxicated and fell off the ship. When a passenger is reported missing, cruise lines must perform a reasonable and adequate search and rescue operation. If the cruise line fails to search for a missing passenger or performs an inadequate rescue operation, it may be found liable for the disappearance or death of the passenger.